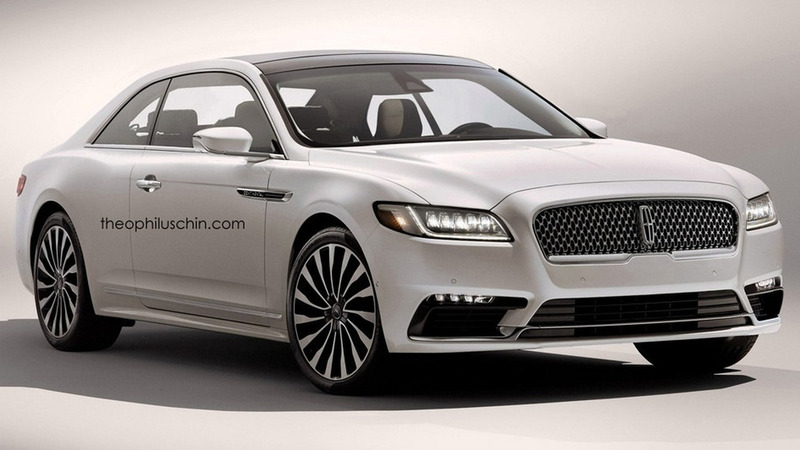 The recently introduced 2017 Lincoln Continental has been the source of inspiration for Theophilus Chin’s latest render. Lincoln’s long-awaited Continental revival is ready for production as a 2017 model year and it’s no wonder independent artists are already making digital modifications to official pics. The attached render proposes a sleeker coupe without the rear doors and with regular handles instead of the controversial ones incorporated in the beltline. Such a hypothetical version would be appropriate for a spiritual successor of the Luxury Sports Coupe (LSC) trim that came out with the Continental Mark VII back in the 80s. It’s too early to say whether Ford has plans to chop off the Continental’s rear doors, but we hope it will eventually happen as the attached render has great potential. In the meantime, Lincoln’s flagship model will go on sale this fall and will be offered with an exclusive biturbo 3.0-liter V6 engine pushing out around 400 horsepower and 400 pound-feet of torque. The “serene fullsize sedan” is going to deliver “quiet luxury” once it will go into production at the Flat Rock Assembly Plant in Michigan. Pricing has not been disclosed so far, but Lincoln says the plan is to sell the new Continental in United States and China.